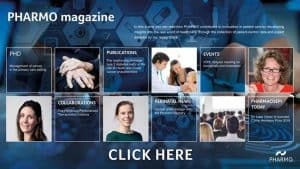 We are proud to offer you the first edition of our new and improved PHARMO Magazine. In this online magazine you can read about our research, our collaborations with universities and other research institutions and upcoming events. provides solutions for decision-makers in epidemiology, market access, health economics and health outcomes domains. It is our mission is to achieve greater insights into the real world of healthcare, through the collection and expert analysis of patient-centric information.